Tiger Woods' Father: Meet Earl Woods Sr.
Tiger Woods' Father: Who Is Earl Woods Sr.? Tiger Woods' father is Earl Woods Sr.
Earl Woods was born on March 5, 1932, in Kansas, and he died on May 3, 2006, at his home in Cypress, California. He was 74 years old at the time of his death, which followed a lengthy battle with prostate cancer. Woods was a baseball player in his youth and was the first African-American to play baseball for Kansas State University - and what is now the Big 12 Conference - when he joined the team in 1951. (Earl said his family heritage included black, Caucasian, and Native American ancestors.) He earned a degree in sociology from the school, then entered in the United States Army. Woods served during the Vietnam War (including as a member of the Army Special Forces, a k a the Green Berets) and retired from active duty in 1974 with the rank of lieutenant colonel. It was in 1966, while stationed in Thailand, that Tiger Woods' father met Kultida Punsawad. They married in 1969. But Kultida Woods wasn't Earl Woods' first wife. That was Barbara Gray, whom Earl married in 1954 and divorced in 1968. Earl and Barbara had three children together, Earl Jr., Kevin, and Royce, who are Tiger's half-siblings. Earl Woods Jr. is the father of Cheyenne Woods, Tiger Woods' niece and also a competitive golfer. Earl Sr. and Kultida had a child of their own in 1975, and that child is Tiger Woods. Tiger Woods' father didn't take up golf until he was in his 40s, but Earl introduced his son to golf in Tiger's earliest years. At age 2, Tiger, with his father Earl, appeared on the television talk show The Mike Douglas Show. Tiger was a phenom in golf from that point on, and Earl and Tiger appeared on other national television shows during Tiger's youth. 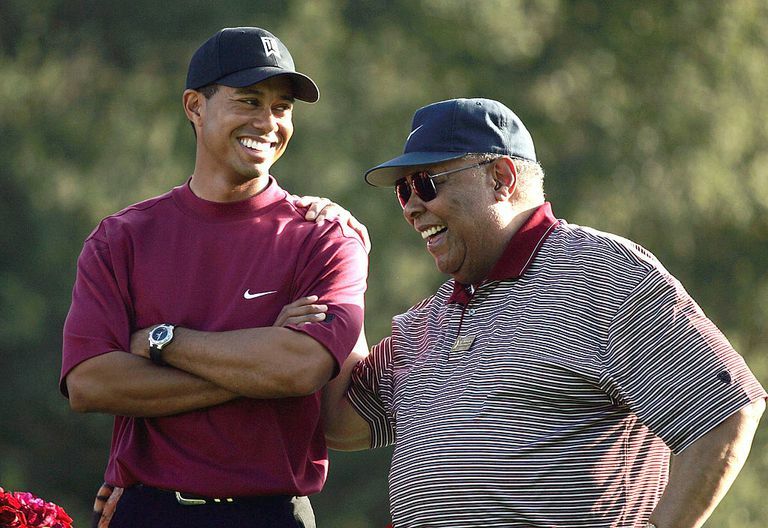 Earl Woods both guided Tiger's development in golf, and he also shared the spotlight. Tiger Woods' father was never one to shy away from attention on himself; he welcomed the spotlight and was always willing to give interviews. That continued throughout Tiger's career, from the junior ranks, through Tiger's amateur victories, and into the pros. Tiger and his father were very close, and Tiger has always been quick to give Earl much of the credit for Tiger's development in golf. The military background of Tiger Woods' father has led Tiger to make appearances on behalf of military families and dedicate charitable dollars to related causes. Earl also influenced Tiger with an interest in children's education and welfare, and Earl was a cofounder of the Tiger Woods Foundation (tigerwoodsfoundation.org). As noted, Earl Woods Sr. is the grandfather of Cheyenne Woods, herself a talented golfer, and was instrumental in starting Cheyenne in golf. 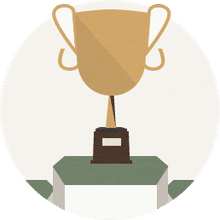 After retiring from the military, Earl Woods Sr. worked in fields related to defense contracting, first for Arrowhead Products, then Brunswick Corp., then McDonnell Douglas. He retired from that line of work in 1988. Tiger Woods' father was first diagnosed with prostate cancer in 1998. That cancer was beaten back, but it returned in 2004 and metastasized. Two years later, Earl Woods Sr. was dead. Tiger Woods' father is buried in Manhattan, Kansas.